The small format single channel DSP based E-PAC power amplifier controller represents a cost effective alternative to the D12 amplifier for single loudspeaker configurations and multichannel applications. 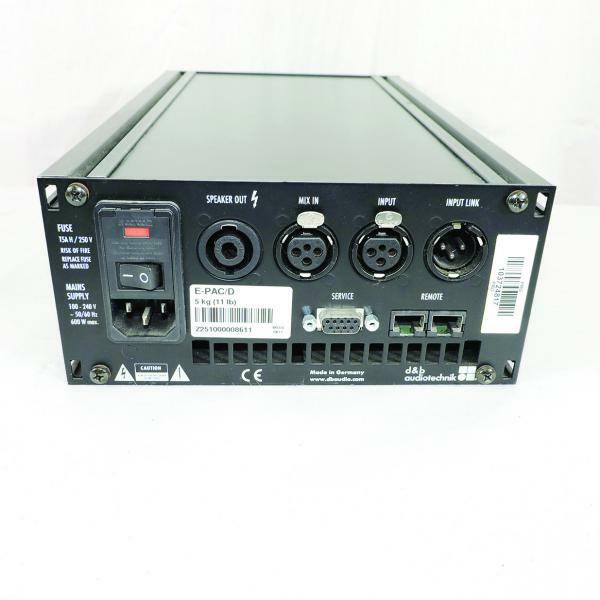 The E-PAC provides set-ups for all current d&b loudspeakers (except for active systems, B1 and B2 subwoofers) and a linear mode that can be selected for MAX/MAX12 or other passive loudspeakers. 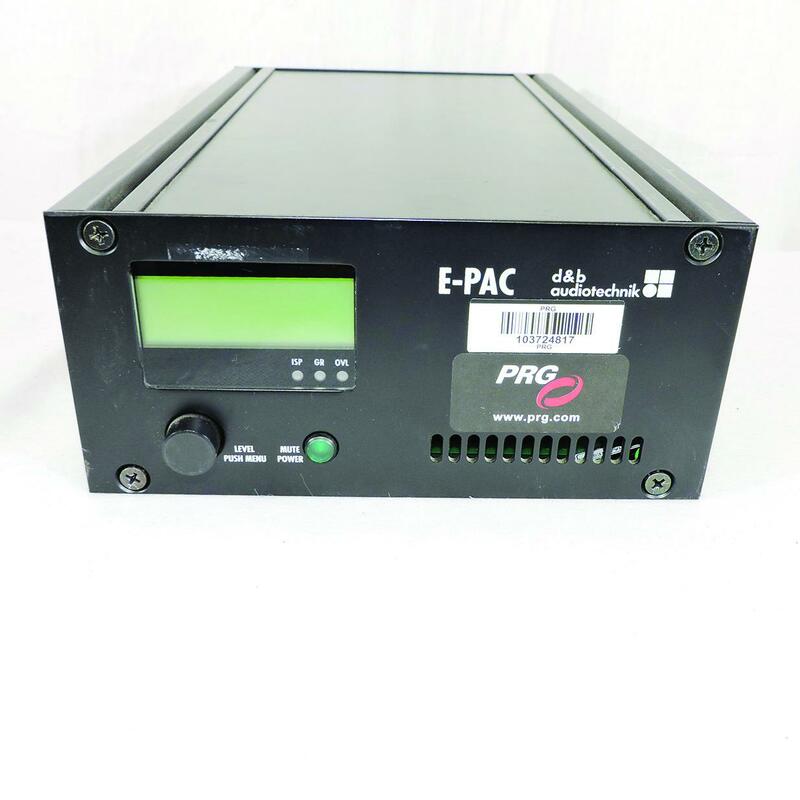 The third generation of the E-PAC offers complete signal processing and all necessary protection circuits. 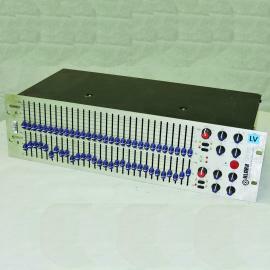 d&b Load monitoring can provide both LF and HF driver status information within systems containing multiple drivers, even if these drivers are passively crossed over, a signal generator for sine or pink noise, all controls and indicators, a 4-band parametric equaliser, a delay function, Remote and Service interfaces providing remote control and monitoring and service upgrade functions. All these functions and parameters can be easily accessed and handled via the LCD in conjunction with a digital rotary encoder. The E-PAC has a switch mode power supply enabling use without any adjustments for the supply voltage.